Even if you have dental insurance, this doesn't mean every penny of your procedure will be covered. To help patients cover the costs of their dental care, whether they have insurance or not, we offer an other financing option. Councill Dental Group is proud to offer patients access to several third-party financing companies who make it their job to see that you can afford the treatment you need. The only third-party financing company to receive the endorsement of the American Dental Association, CareCredit offers low monthly payments and low interest and is one of the nation's leading patient financing programs that provides payment options for consumers with expenses not covered by insurance. To learn more or apply, please visit their website. Patient information on the effects of certain foods or herbs that may alter Warfarin activity or contain anticoagulant and antiplatelet properties. 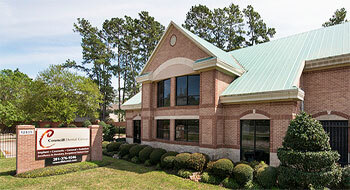 State-of-the-Art equipment, knowledge, and experienced dental professionals make a successful combination. We want to make sure you maximize your potential benefits. We will help you navigate the often confusing world of dental insurance. We accept most insurance plans and will be happy to file the paperwork with your insurance carrier for you, and we even offer a pre-treatment estimate. Please call our office at 281-376-9246 for information on your specific insurance plan. For more information, and to see if your treatment qualifies for medical billing, talk to our friendly and knowledgeable office staff today. For your convenience, we offer online payment options to make paying for dental care easier than ever. If you are a new patient at Councill Dental Group, please print out the following forms and bring them with you to your first appointment. Instead of spending a lot of time in the waiting room filling out forms, you can see your Cypress, TX, dentist much sooner. There are three forms to choose from: New Patient Forms, TMJ Patient Forms, and Wisdom Teeth Forms. The New Patient forms and Wisdom Teeth forms will simply need to be printed and filled out. The TMJ form can actually be filled out and submitted online prior to your visit. Our questionnaire consists of 5 documents. To complete a document, simply fill out the fields with the requested information. While most of the fields are optional, certain fields, marked by asterisks, must be completed. When you have completed a document please review your entry, click the Submit button to move to the next document. Please don't use your browser's Back or Forward buttons. Use of these buttons may undo or redo your recent actions and may result in errors. Please note that the information you will submit will be encrypted for your protection and goes directly to our office. We appreciate the time that you will spend providing the information helping us prepare for your visit. Thank you and please call our office (281) 376-9246 or email to office@councilldental.com if you have any questions. Hours: Mon thru Thurs 7:00a.m. to 5:00a.m.